Special Offences Court sitting in the Ikeja area of Lagos has turned down the bail application of an alleged serial fraudster and lawyer, Fred Ajudua. 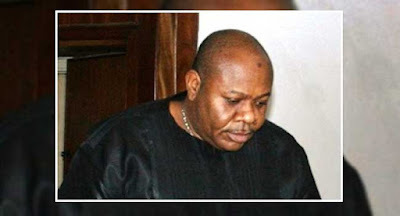 Justice Mojisola Dada in her ruling on the bail application on Thursday ordered that Ajudua be transferred from Ikoyi to Kirikiri Prison where he was earlier remanded pending the ruling. Ajudua will remain at the Kirikiri Prison, Lagos until the conclusion of his trial. The judge said she was convinced that granting Ajudua bail would further truncate his trial which has suffered a series of setbacks since his first arraignment on March 5, 2009, before her another judge, Justice Oyefeso. The Economic and Financial Crimes Commission (EFCC), had re-arraigned Mr Ajudua before Justice Dada following the re-assignment of the case file by the Chief Judge of Lagos State, Justice Opeyemi Oke. The Chief Judge re-assigned it to the Special Court for accelerated hearing. Ajudua was alleged to have defrauded one Ziad Abu Zalaf of Technical International Limited, a German-based firm of one million dollars. The EFCC alleged that the accused and his accomplice, Joseph Ochunor, had in 1993 carried out the act by forging some Central Bank of Nigeria (CBN) receipts. Ajudua, however, pleaded not guilty to the12 charges bordering on conspiracy and fraud.